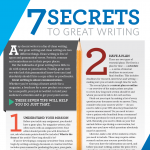 Want to improve your writing or enhance your content marketing? 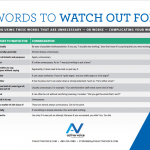 These tip sheets and guides from Active Voice Communications are free to download. Take advantage of our expert advice, and let us know if there are any topics that would be particularly helpful to you in your job. 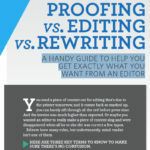 A handy guide to help you get exactly what you want from an editor. 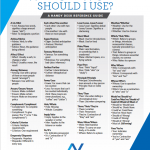 Here are three key terms to know to make sure there’s no confusion. AP style dictates, “In general, spell out one through nine.” But there are plenty of exceptions to the rule. Following are the most common. 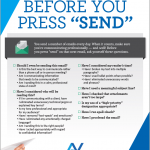 You send (and receive) a number of emails every day. When it counts, make sure you’re communicating professionally — and well! 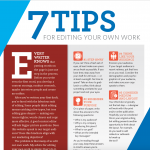 When you’re short on staff or time or both, you’ll likely end up editing your own writing. If you’re your own eagle eye, you’ll want this step-by-step guide. Are you using these words that are unnecessary – or worse – complicating your writing? 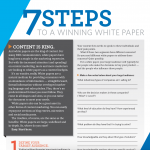 White papers have become a critical part of a B2B communicator’s content marketing repertoire. Here are a few basics for getting started. Your writing might be typo-free, but is it great? Here are seven strategies for taking your writing from fine to fabulous. Not sure whether you’re eager or anxious? Or if it’s insure or ensure? 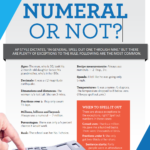 Download this handy desk reference to help you choose the word you really mean.